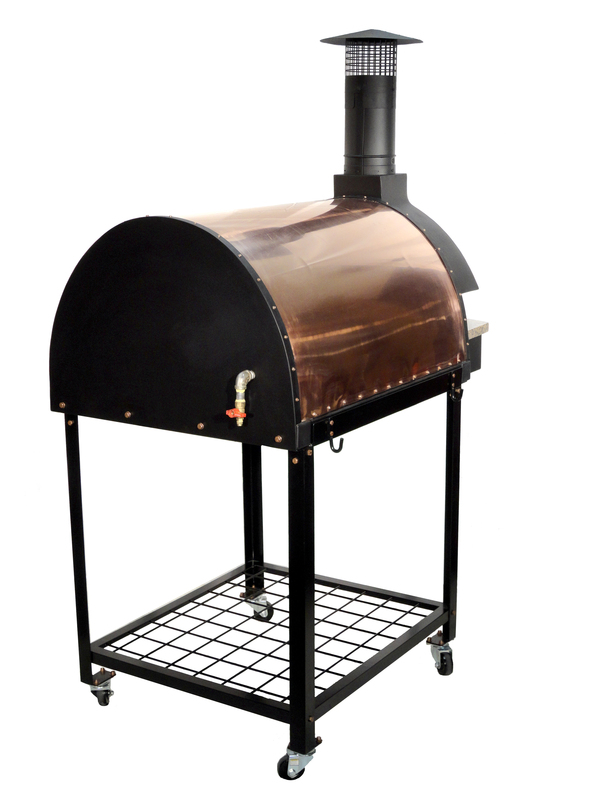 Features high heat black powder coated steel entrance, back panel, chimney and spark arrestor. Copper dome. A 3cm Typhoon Bordeaux granite mantel. All siting on a mobile custom interlocking cart powder coated black. This entry was posted on Monday, January 5th, 2015 at 7:26 pm. It is filed under . You can follow any responses to this entry through the RSS 2.0 feed. You can leave a response or trackback from your own site.